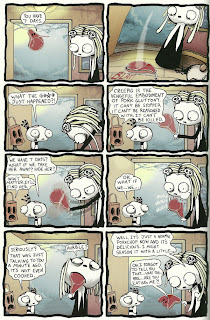 When there’s no more room in Hell, or if they just get a little bit bored, the dead shall walk the earth! 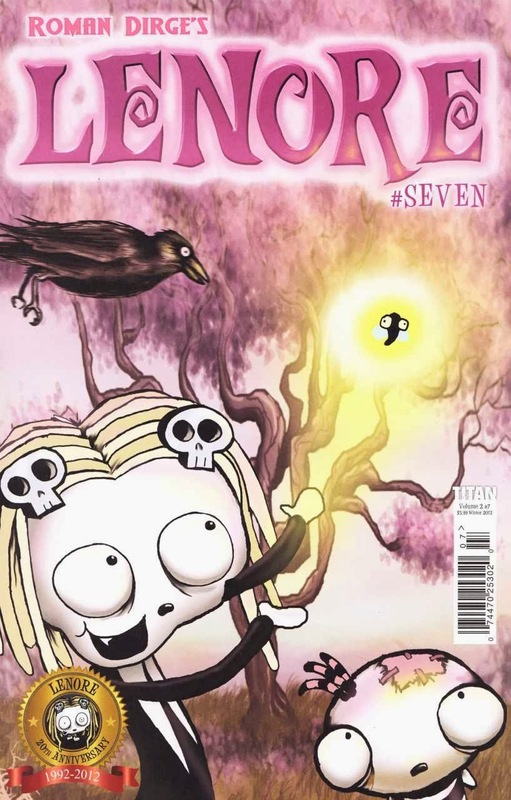 Lenore, the cute little dead girl, is back, determined to carry on exactly where she left off, being beastly to Mr Gosh, accidentally squishing small cute animals, making friends with all manners of monsters! 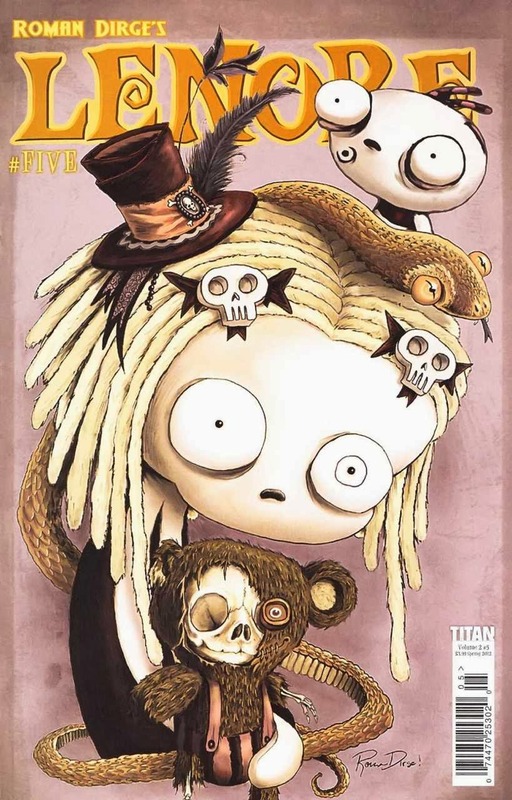 Collecting issues 4 to 7 of the sold out comic series and beautifully and painstakingly illustrated by creator Roman Dirge. 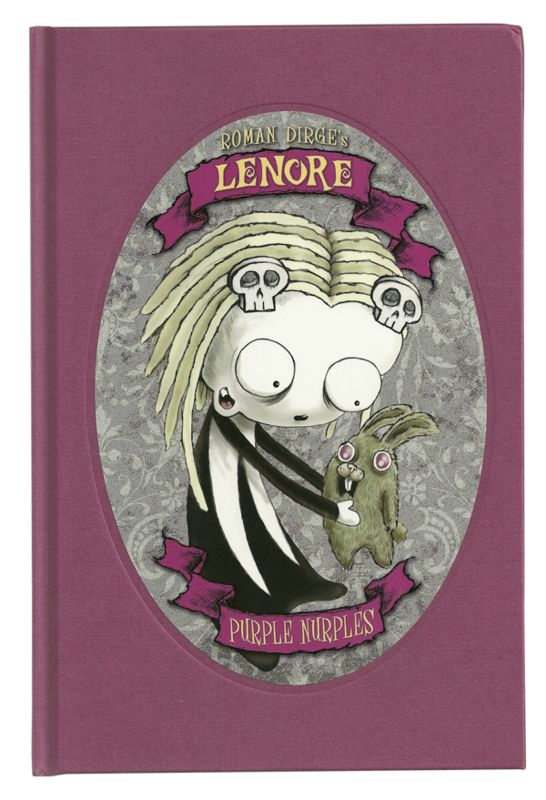 Inside PURPLE NURPLES what you'll find is more of what you already love from the adorable little disaster, Lenore the cute, little dead girl. 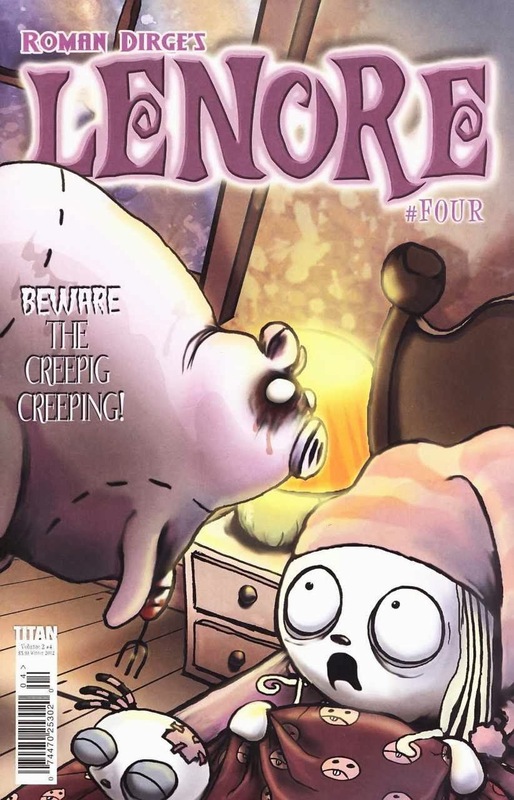 First up is the two-part Creepig story (born from one of the most fortunate spelling mistakes ever committed) where Lenore learns that it's very bad ju-ju to eat pork wrapped in pork after midnight. 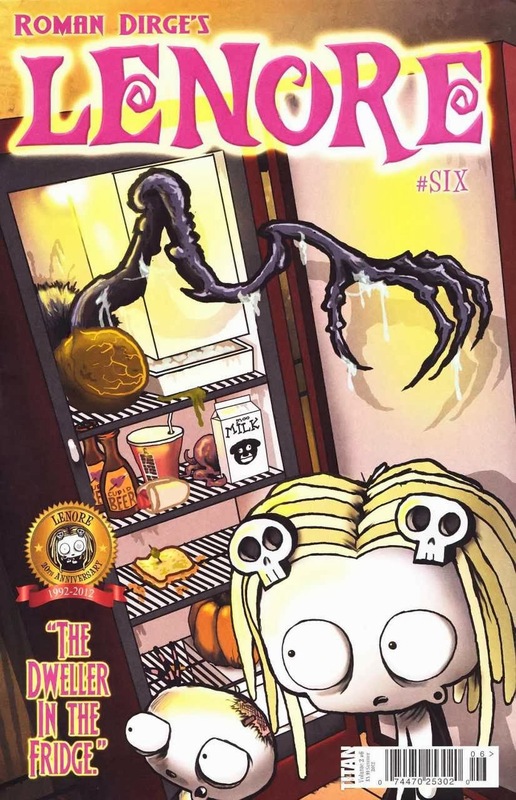 Up next is the delightfully disturbing tale of Lenore and "The Dweller in the Fridge," where Lenore goes in search of something to eat and finds that she's not the only one on the hunt. Lastly, we find Lenore as she wonders over the marvel that is a new born baby fly. 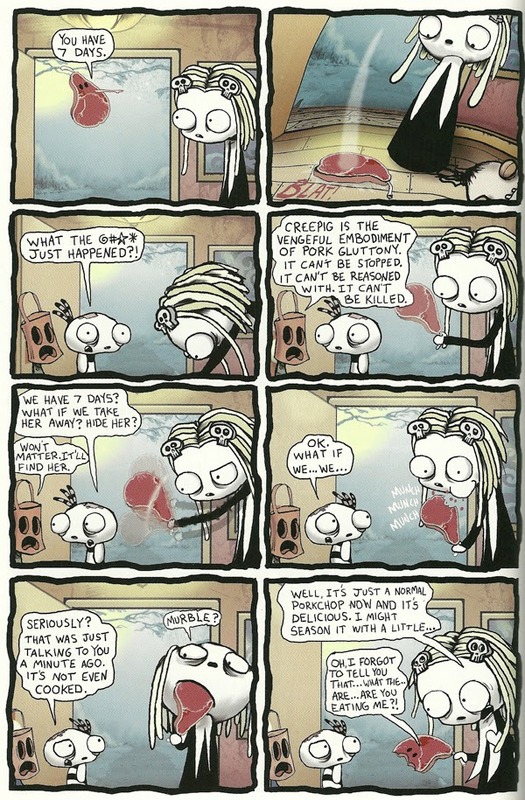 Roman Dirge never fails to deliver in the world of Nevermore. 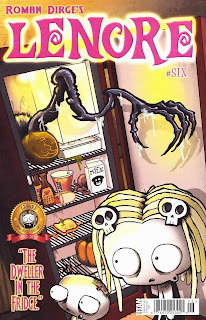 His characters are adorable in their lunacy and the impossible to predict mayhem is something that won't let you put these books down. 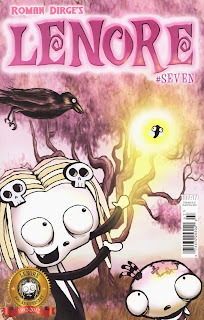 If you missed our review of the last Lenore graphic novel, Swirlies, you're gonna want to go check that out here. 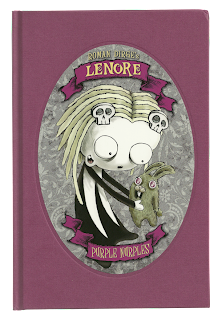 Then, you're gonna wanna take a trip over to your local Amazon.com to grab your very own copy of Lenore: Purple Nurples. 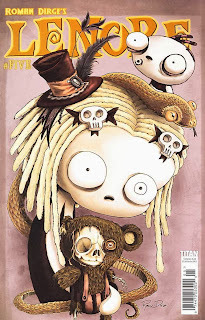 You'll never regret that you did.